Hate going somewhere new and not knowing what to expect? Here is a brief introduction to individual sessions at Wise Move. Individual sessions in the Feldenkrais Method® are called Functional Integration(FI)®. FI is a gentle, hands-on approach to somatic education; giving you the tools and knowledge to relieve pain, address discomfort, and do the things you want to! Alea: Where or how would you like to be more comfortable in your day? Client: You know, I sit for most of my day at work and by the end my neck and shoulders are usually really bothering me. Sometimes it’s my low-back. Alea: Alright, do you have an adjustable chair? Alea: Do you ever adjust it? Nearly everyone I speak with who has discomfort after a day sitting at work also has an adjustable chair… but they never adjust it! They took the “set it and forget it approach.” In today’s world however, of personal expression and shoe options our attire affects how we sit in a chair. Do you adjust your chair to fit your shoes? How many different height heals do you wear, and how often do you wear flats? The general guideline for a professional women’s shoe is a heel that is 3.5 inches or lower; well say you were wearing flats the first time you sat in your adjustable work chair. You sat down, felt you could probably be more comfortable, reached awkwardly under the side of the chair, grabbed the lever, and proceeded to do the little dance of lifting up and sitting down until you found a height that felt good. A couple days later, you decide to mix up your look and wear your 2-inch heals; but did the thought of that little lever cross your mind? Now try this: sit on the front edge of whatever chair you’re in, feel how comfortable you are and notice your low-back. Then lift your heels off the floor so you are only on the balls of your feet… what happens to your low-back? Does it round? Does it arch? Do you feel certain muscles engage? Did your breathing get a little shallow? If you don’t adjust your chair, those higher shoes can force you to sit in a way that takes the natural arch out of your back! That small change is reflected in your entire spine, including your neck and shoulders, and as a result we all experience different levels of pain and discomfort. If we don’t adjust our chairs on a daily basis, the shoes we wear can throw our spines into all manners of positions, creating pain and discomfort in the low-back, neck, shoulders, and more. Whether you wear the same shoes everyday or have a different pair for each day of the week, you should check in with the height of your chair each morning. How we is not just a product of our shoes, but also by the way we feel, our level of stress, our level of excitement, what we did the previous day, and how we slept the night before. Your system works hard to carry you throughout your day, so take 15 seconds each morning to make sure your chair adapts to you and not the other way around! If you find this suggestion to be useful, take advantage of our FREE Phone Consultation and we can discuss what other benefits you might get from Feldenkrais! Go to our Book Online page to pick a time. New Classes! New Class Series! New Packages! Welcome to WiseNews, our monthly newsletter! Four packages that will give you sustainable movement options in sitting, standing, and lying down! We'll be offering a 1-Class/1-Session package in the months of February, March, and April, building up to a 4-Class Series in May!! You're welcome to buy packages individually however, we recommend combining all four packages, with a 10% discount, for the best results. 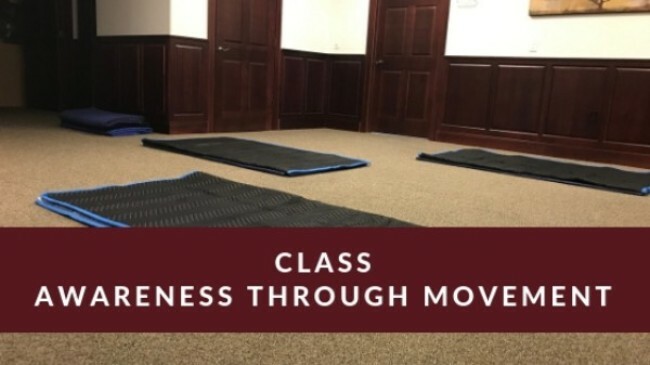 See full details, including dates and packages in the Awareness Through Movement® Class section below. Join Linda for an Awareness Through Movement® Class Series starting Wednesday, May 8th from 6:00-7:00pm! * When you purchase a package you will receive a code that is used to schedule your session. It is the most beneficial to schedule your session close to the date of the class. WANT TO COME TO ALL? 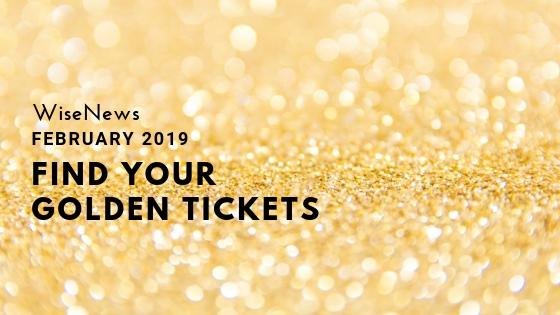 *Due to the fees imposed by our credit card processing service, in order to maintain the discount on this package it is only available if paid for via cash or check. What do you do that isn't a habit? Habits can be beneficial, helping us conserve energy; like our morning routine before we go to work. Habits can also cause problems, like clenching our jaw when we concentrate. They can be unconscious or conscious, and can change with context. So what do you do that's habitual? 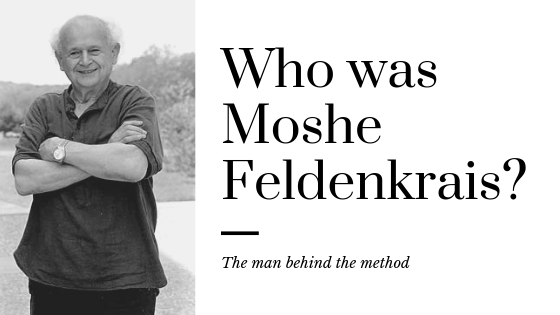 Who is Dr. Moshe Feldenkrais? Dr. Moshe Feldenkrais drew upon his knowledge as a physicist, Judo master, and mechanical engineer - as well as his studies in psychology, anatomy, child development and evolution - in order to develop the Feldenkrais Method®. He proposed that as a result of our environment, we adopt physical and psychological patterns of behavior. These patterns become integrated, and sometimes create limitations in movement as well as pain throughout our system. These understandings of movement lead Feldenkrais to develop an innovative method that can change patterns of dysfunction, relieve pain, and release emotional stress. 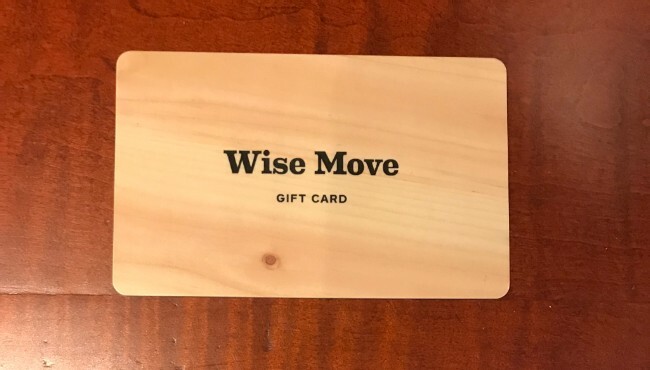 Did you Know Wise Move Offers Gift Cards! Know a friend or family member who could benefit from Feldenkrais® but isn't sure they want to pay for a session? Gift Cards are a great way to get them in the door. Consider a gift card in the amount of an above package so they get the full effect! when no one is looking"
Help others make the Wise Move and leave a review!! Read how Lisa Rein found relief after 30 years of back pain! She had been diagnosed with osteoarthritis, mild scoliosis, and a genetic weakness. Like many she’d tried other modalities with only temporary relief, until a friend finally got her to try Feldenkrais. If you’ve attended any of our classes or even spoken briefly with our practitioners you’ve probably heard us use the word “awareness.” Do you know what we mean by awareness, and why we don’t use the term consciousness? For many the terms conscious and aware are used interchangeably but, in Feldenkrais, we see them as very different. You’ll find many people are conscious of their movements, but very few people are aware of their movements; let me explain. How to protect your Energy Level. Far too often we experience a person talking to us about something negative in their life. When a person does that they take your positive energy and leave you feeling worse than before they came. All of us have a lot to deal with throughout our lives so don't let people take your positive energy. If you've done something wrong to receive this negative energy then apologize always, live in your truth, but if you did nothing wrong imagine a 2-foot thick wall around you not allowing this person to take your positive energy. Stay relaxed think of something positive. No matter what they say you're not going to let it affect you and you're not going to feel sorry for them or reinstate their negative energy, because that's not good for them either. It's not about being stern with them or negative to them at all it's just about understanding yourself and how you feel. If you are physically not feeling well or emotionally sad then your energy level is low already so it's hard to take on somebody that's negative. If your energy level is high and you want to keep it there then make sure that you don't allow this person to affect you, even if you have to say "can you wait a minute I have to go to the restroom" or 'I need to take a shower", be creative start cleaning, do anything to break the cycle.. Protect your positive energy, it helps every person in your life; know when your energy level is low and take care of yourself. Be mindful not to take positive energy from other people. Take a shower, a walk in the woods, be near water or fire - it will always help to increase positive energy. Live Your Truth and understand yourself. Try going one day without one negative word coming out of your mouth and then try it for another day and another day and see how it makes you feel. You will feel such a relief to stop negative dialogue in your head. There will always be times in our lives when we need to talk to somebody about something negative but just make sure that you're being mindful of the other person’s energy level. Take a breath, relax, and stay positive. We are excited to say that one of the top articles for the NY times this week was "Trying the Feldenkrais Method for Chronic Pain" by Jane Brody. Now you don't just have to take our word for it; read about someone else's experience, ask us your questions, and share the article with your friends! Press on your stomach with a flat hand, find your heartbeat, stay there until the area softens. There was a point in my training when I dropped my jaw and said to myself no one is going to believe the capability of this method. People we worked with got rid of severe pain in one session. This cerebral palsy women walked in with poles in her hands to catch her balance and after four sessions walked out without poles. MS people could navigate their surrounding with little effort. Severe depressed people could change their self image creating powerful change in their lives quickly. An older women after one session could feel movement in her body she had never felt before. Trust me when I say this method reaches people deeper then ever thought possible. Jaw dropping. Please don't cut nerves in half through a surgery because of pain or stiffness within your body. Come see me first, it is extremely important for long term movement options and living without pain. ok.
Be Wise start now, don't wait another day. In order to turn your nervous system into a learning system you need to pay attention to comfort in everything you do. When walking, standing, sitting, laying down, make sure you're comfortable. The nervous system will always tell you what you need, when your system isn't feeling right it will make you shift until it can learn.. Your shoes need to be laced evenly so the arch of your shoes stays on the arch of your foot without shifting. If your not sleeping good your bed is to soft or to hard. Try different places in the house to sleep: the couch, another bed in your house or someone else's house. Find the right density and then change your own bed. Memory foam beds will give you more and more pain, please don't buy those beds. When walking, if you're in pain walk in the woods on a softer ground. Pay attention when you are shifting around or you have pain signals, make yourself comfortable no matter where you are so your body will start to strengthen the signals to the nervous system giving you more movement and less pain. Very, very important as we age. Lay on your side on the floor. A blanket on a hard floor works best if you're not in pain. Sense your ribs touching the floor. Did your breathing change? Did you take a large breath? If so continue to lay there for a few minutes. Your nervous system is learning about your ribcage. After a few minutes come to sitting, wait to stand until you feel grounded to the floor. The blood levels out you don't feel light headed at all. Do the same thing when you stand. Wait a few minutes before walking. Walk on a smooth hard floor not tiled with grout. See how you move and feel. Can you breath better? Do you feel any difference? Take note what side you laid on. This can change from day to day but for now the side you laid is what your nervous system prefers. Keep feeling the weight of your body in your feet throughout your day. This will help the nervous system to continue learning. By doing this daily you will continue to feel better. Have a great day k! !